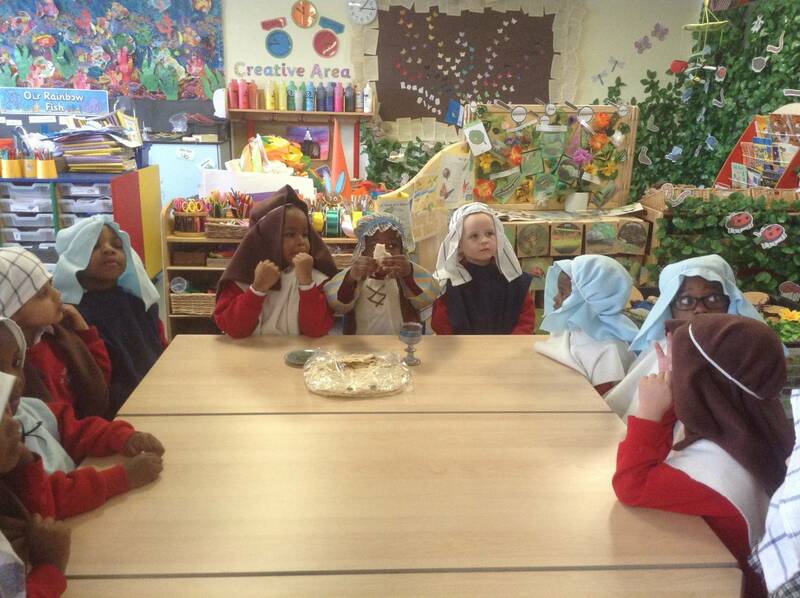 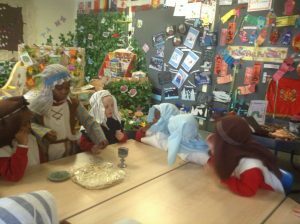 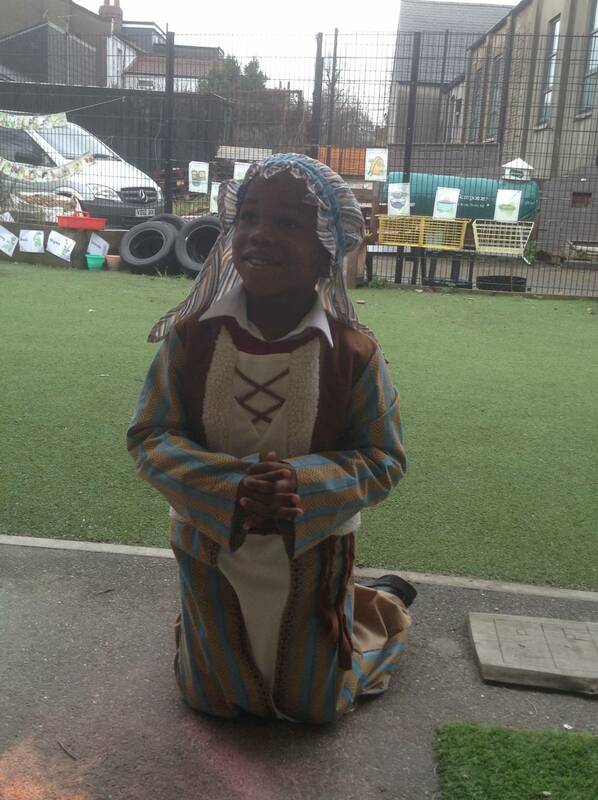 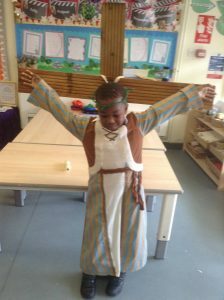 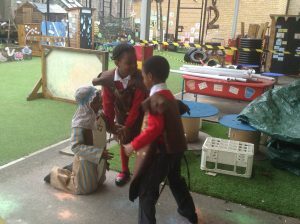 We have been learning about the Easter story. 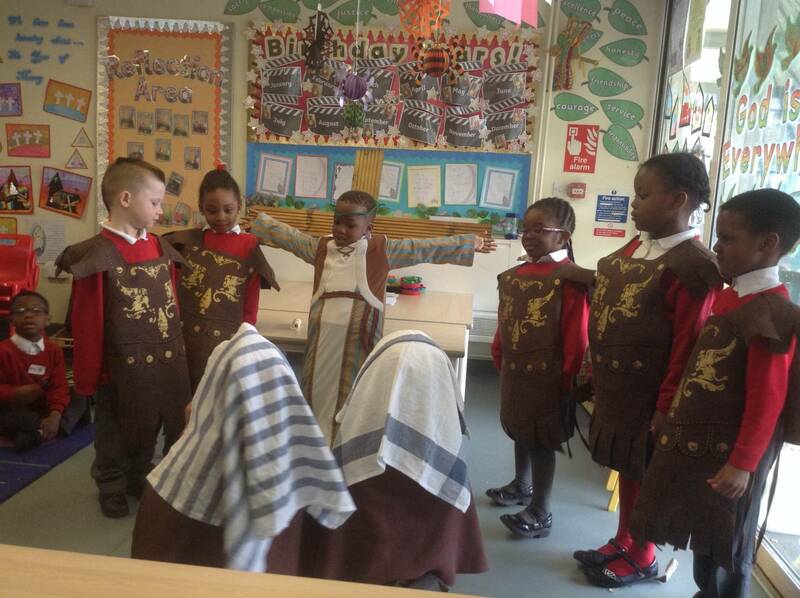 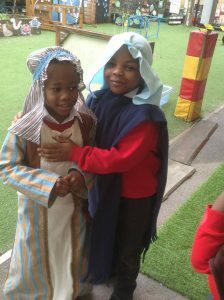 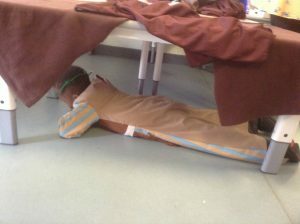 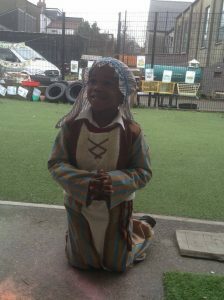 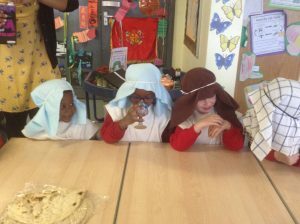 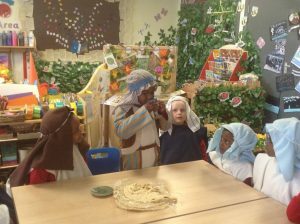 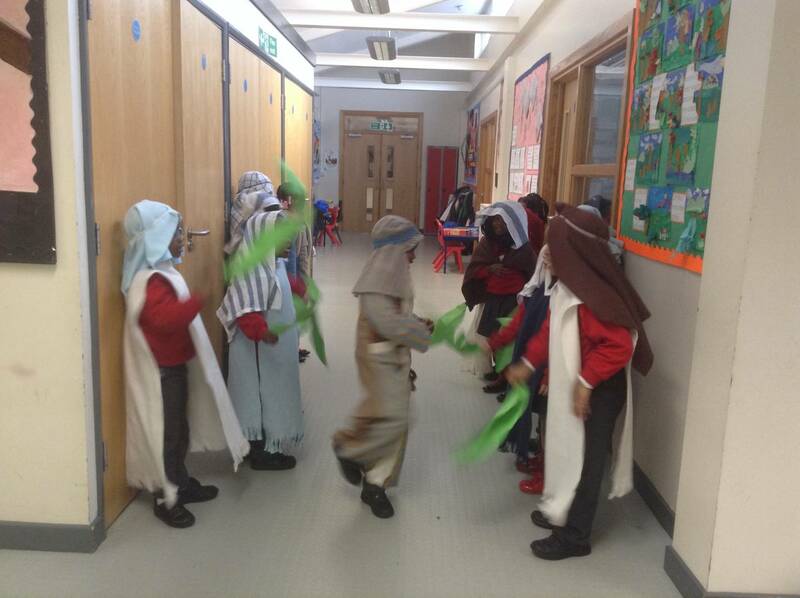 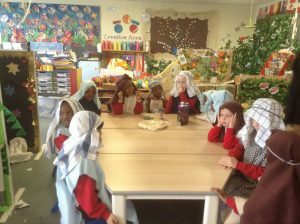 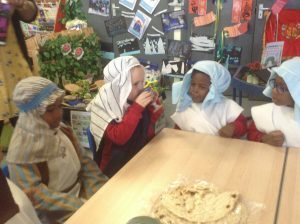 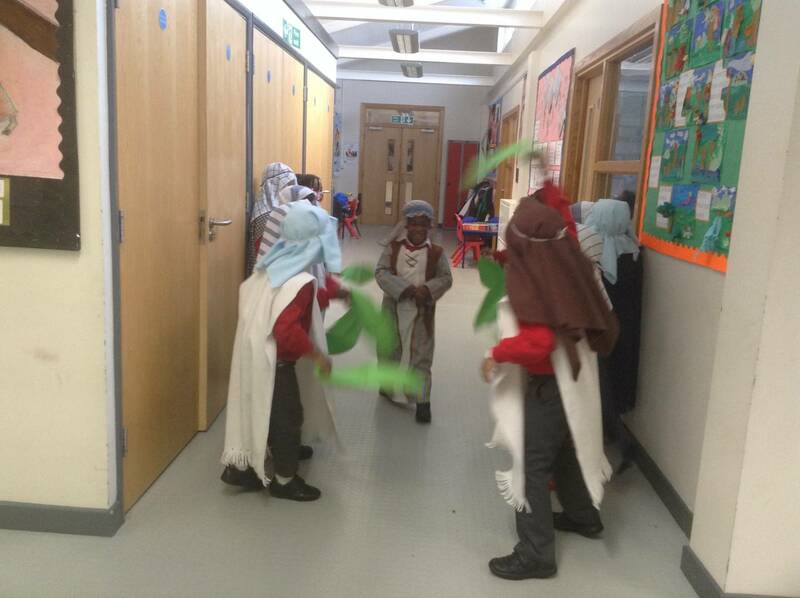 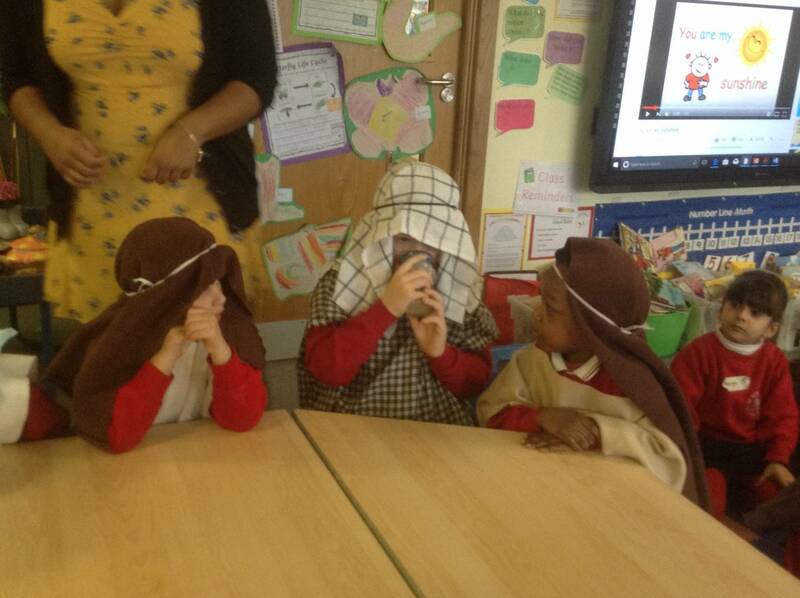 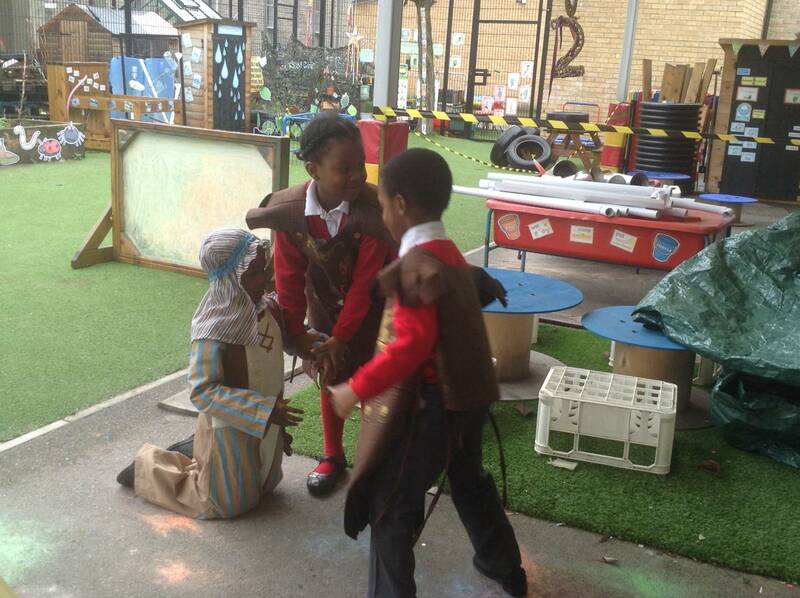 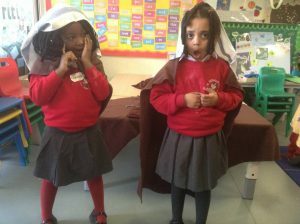 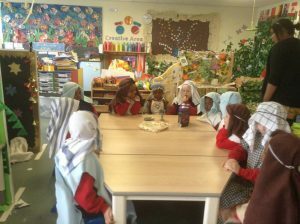 We dressed up and acted out Jesus’ last days to help us learn about the events that happened during Holy Week. Jesus and his disciples had a meal together. This is called the Last Supper. 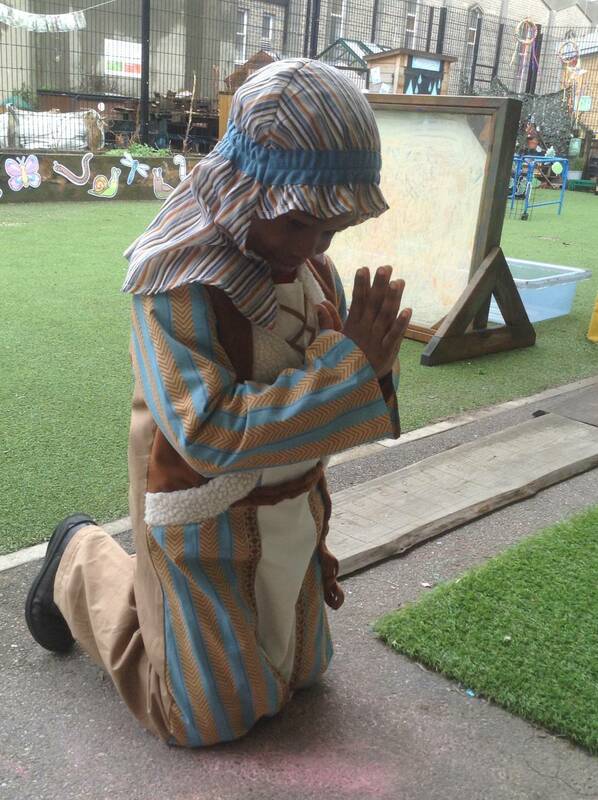 Jesus went to the Garden of Gethsemane to pray to God. He asked his disciples to keep watch but instead they fell asleep. 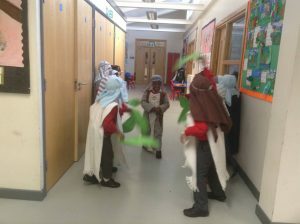 Judas arrives with soldiers and the Chief Priests. Judas kissed Jesus on the cheek and called him, ‘Rabbi’. Then they arrested Jesus. 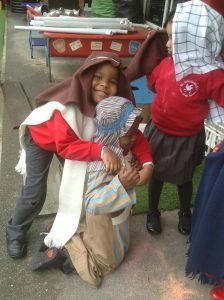 Jesus was made to carry a heavy, wooden cross all the way to the top of a hill. 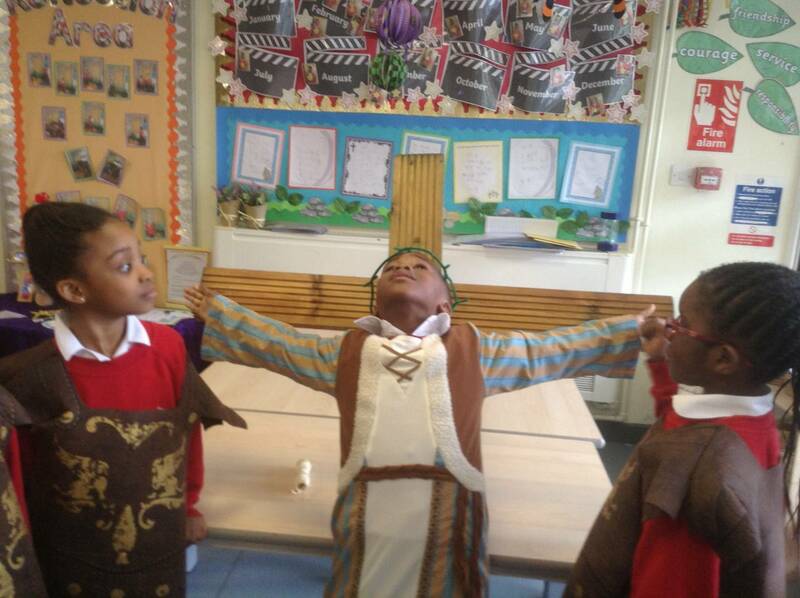 Jesus was nailed upon the cross and placed between two other prisoners. 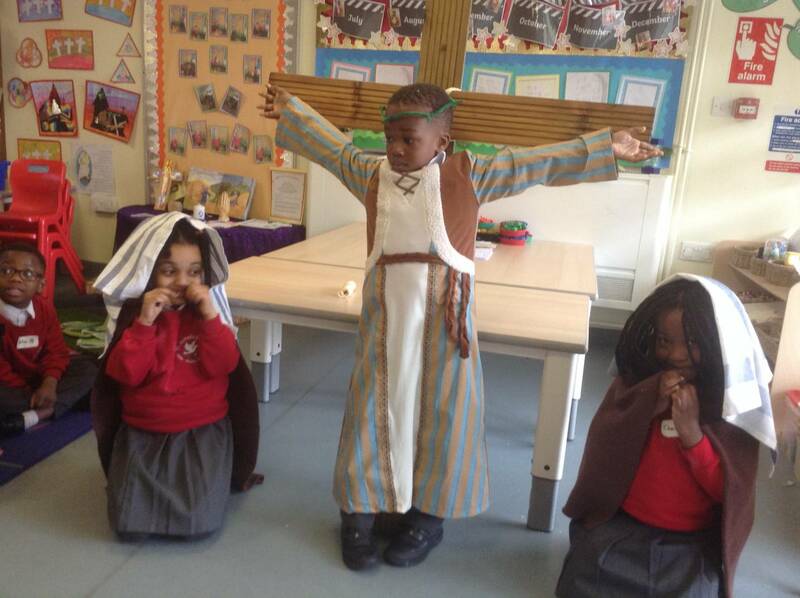 Later that day, the sky turned black and then Jesus cried out to God and died. 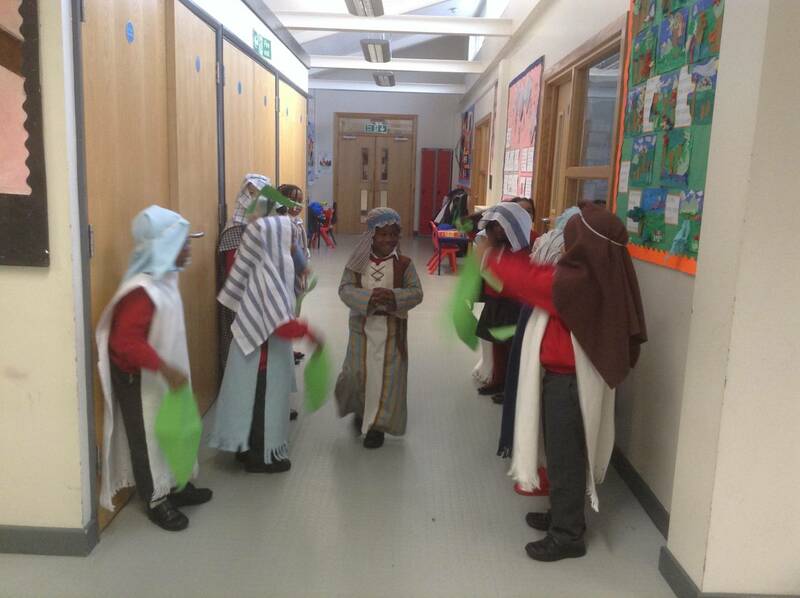 Jesus’ body was laid in a tomb and a stone was rolled across the entrance. Jesus’ disciples and friends were very sad. 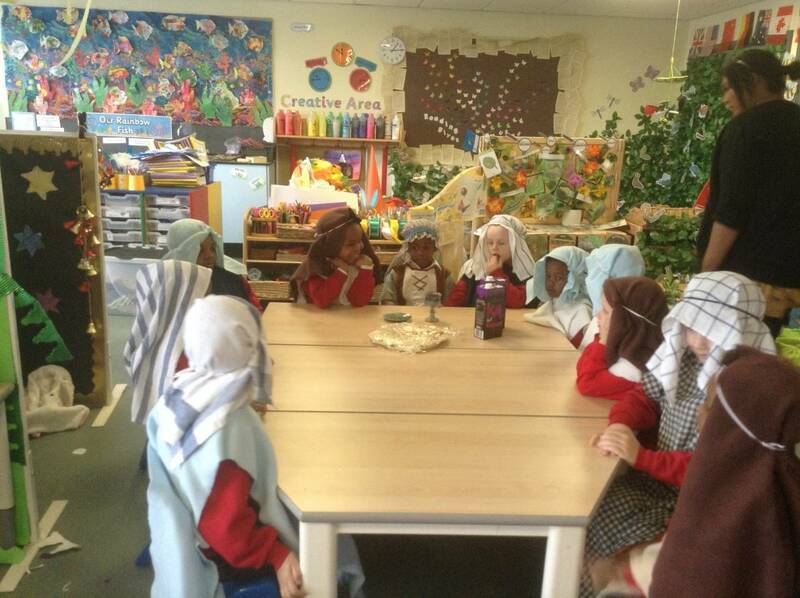 Mary Magdalene and another lady went to the tomb where Jesus’ body had been laid. 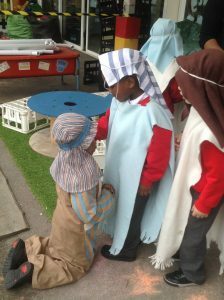 When they got there, they saw that the stone had been rolled away. The tomb was empty.